Volvo is coming to the L.A. Auto Show with its full range of 2019 model year cars and a new concept ... oh wait, never mind. Volvo's not doing that. This just in, the Swedish manufacturer is renting space in L.A. but is choosing to not bring any vehicles or vehicle-shaped things at all. Why is Volvo using its marketing budget to show absolutely nothing, you might ask? Well, Volvo is still going to show some hip videos with neat soundtracks most likely, but it is most concerned with discussing its vision for the future of automobility. Cue the eye rolls across the automotive world. Instead of a bunch of its terribly old-fashioned vehicles (read: sarcasm) on display, Volvo's large setup will be dominated by a giant sign(?) spelling out: This is not a car. Alright, we get it, Volvo. The industry is changing, and the L.A. show is technically called "Automobility LA," so it wants to be on the bleeding edge of that discussion. Here's a statement regarding the decision from the guy responsible for product strategy at Volvo, Mårten Levenstam. "We want to demonstrate that we got the memo and start a conversation about the future of automobility. So instead of bringing a concept car, we talk about the concept of a car. We will not win the 'car of the show' award this year, but we are comfortable with that. Because this is not a car show." Maybe Volvo will change its mind when it takes a look at the show floor from its stand ... we're guessing there's going to be a bunch of cars around. Probably because it's a car show. Anyway, that's the news from Volvo today. It's even stranger seeing Volvo do this, since it's been pulling out of car shows recently. Volvo retreated from the Detroit Auto Show main floor in 2018 (yet won the North American Utility of the Year award with its new XC60) and has also canceled its normal attendance to the Geneva Motor Show. There's nothing odd about that; a number of manufacturers are pulling out of auto shows in favor of their own private events nowadays. Reasons for this include time and money — so that raises even more questions about why Volvo would spend all this money to show nothing. There's nothing wrong with talking about the future of mobility and showing cool concept cars at the same time. 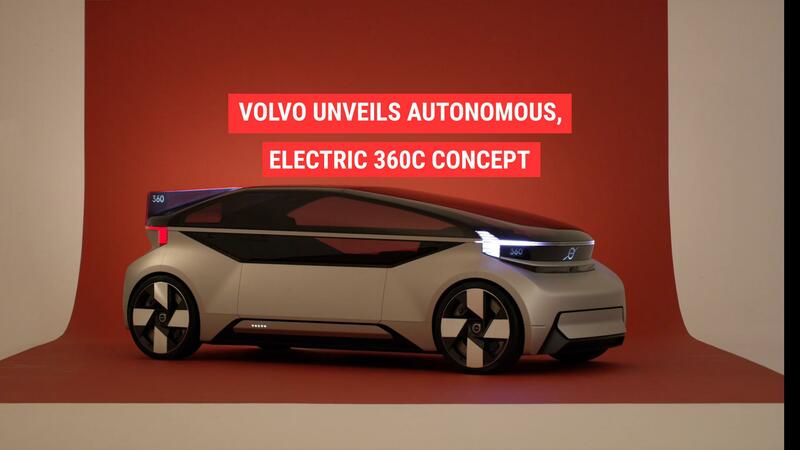 Volvo did this very thing with its 360c electric autonomous pod concept just a couple of months ago. We'll be in L.A. next week covering everything from the show floor, so we'll update you on whether this no cars strategy leads to any introspective or profound discussions on the future of transportation.